If your after a quick and easy to erect lightweight porch awning which is still able to be completely closed up consider the advantages of the very modern Magnum 260. A completely new and unique model for 2015 the Dorema Sprinter is ideally suited towards touring and occasional use caravaners. To extend the internal room the Sprinter also has the option for an annex to be fitted either to the left or right for the camper who requires additional storage or an additional sleeping space. The Sprinter is designed to fit caravans from 235-255 cm in height, which will suit the majority of caravans. It comes in one size and has a depth of 240 cm and a width of 355 cm. The roof and walls are made of extra strong quality Weathertex 4000 mm polyester which is PU coated for added weather protection. The front panel is fitted with a door which is able to be zipped out and 2 windows with privacy panels while the complete side panels can also be zipped out, the side panels have large windows both fitted with flyscreens and privacy flaps. A simple steel frame gives this awning its light weight of just under 19 kg but also gives it strength, this means it can be erected quickly and easily, around 15 minutes is a good indication. Ladder straps are used to secure the awning to the ground. 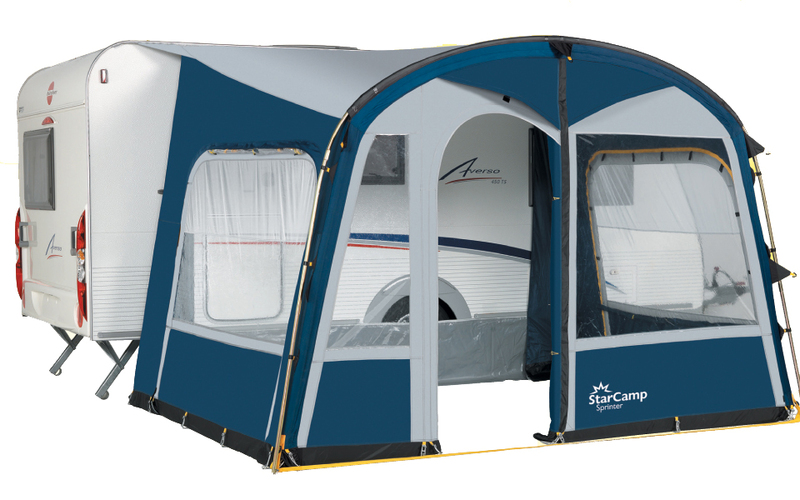 An optional annex extension as shown above is available and can be fitted to either the left or right side of the awning, able to be used as a 2 berth inner tent it uses fibreglass poles to keep the weight down ( just under 5 kg ). These simple optional annexes create an innovative area and maximise the space within the main awning. 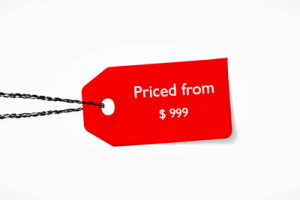 Please note: Prices quoted are without any optional extras, quoted price includes delivery to your door within Australia.